Amplion is the biomarker intelligence leader driving drug program decisions in precision medicine. Centralized access to the definitive source of novel biomarkers and supporting evidence. 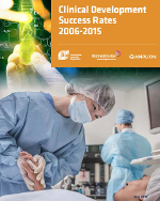 Amplion is over 50% faster than common biomarker evidence research methods. Be first to market with the right product and strategy to ensure market success through comprehensive evidence-based strategies. With 1.2M new research publications each year and growing by 20%+ per year, it’s impossible to keep up without leveraging Amplion's machine learning powered approach. Your competitors are rapidly maturing their approaches to precision medicine. Where are you on the maturity curve? Mitigate drug program risk with biomarker intelligence. Inform product portfolio success with biomarker intelligence. 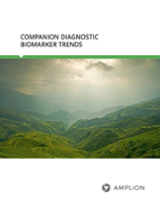 Our free report describes trends in how biomarkers and biomarker-based tests are currently being used to identify patients and to guide drug dosing and safety. Amplion, BIO, and BioMedTracker release new report on ground breaking role biomarkers have in tripling clinical trial Likelihood of Approval (LOA) rates.